﻿ Seedorf: "Messi is the best but Cristiano Ronaldo is not far from him"
24.11.2011» Seedorf: "Messi is the best but Cristiano Ronaldo is not far from him"
AC Milan midfielder, Clarence Seedorf, is what we can all an experienced player. The Dutchman still plays an important role in the Italian team and earlier this week, despite praising Cristiano Ronaldo, he ranked Barcelona's Lionel Messi as the current best player in the World. 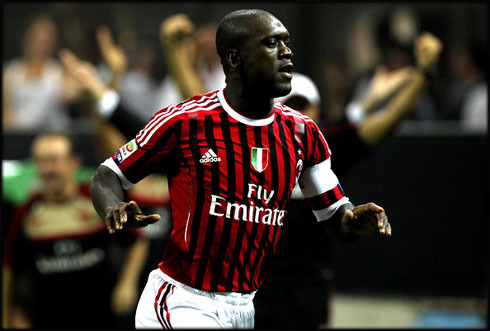 The 35-years old AC Milan player, Clarence Seedorf, has talked about both Cristiano Ronaldo and Lionel Messi and didn't have problems to reveal his preference for the Argentinian star. However, Seedorf was also keen to stress that Cristiano Ronaldo is not that far from Messi talent-wise and he confessed to be impressed with everything CR7 has been doing at Real Madrid, since he joined the Merengues in the summer of 2009. Seedorf was the first player to have won the UEFA Champions League for 3 different clubs (Ajax, 1995 - Real Madrid, 1998 - AC Milan, 2003 and 2007). However, the talented midfielder doesn't believe that any Italian team stand a chance this year in order to be considered one of the favorites to win the Champions League this season. Seedorf believes that only Real Madrid, Barcelona and Manchester United are capable of lifting the trophy in May. Seedorf: "I think that Barça, Real Madrid and Manchester United are the main favorites to win the Champions", said the Dutchman just before making a few remarks on Lionel Messi and Cristiano Ronaldo. Seedorf: "In my opinion, Lionel Messi is the best player in the World and he has been performing at an impressive level. However, Cristiano Ronaldo doesn't fall that far behind from Lionel Messi, specially after what he has been doing and showing in Madrid. They are both players that everyone definately enjoy watching." 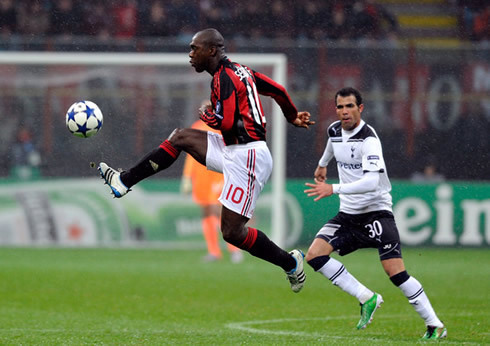 Even though Seedorf has never been coached by José Mourinho so far, the AC Milan midfielder stated that the Portuguese coach has a special personality. 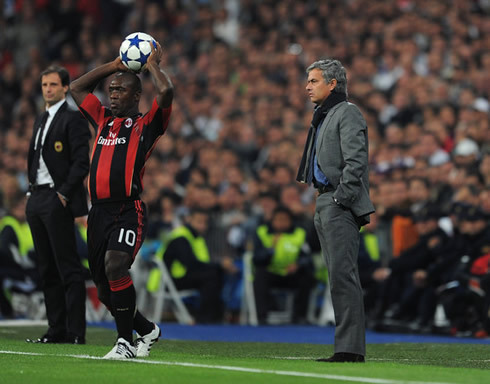 Seedorf: "I don't think Mourinho has changed over time. Mourinho is Mourinho and he's a very smart man, who has his own way of expressing himself, despite doing it in a very harsh and unusual way sometimes. No one is perfect and he has also made some mistakes in the past, but we have to learn how to deal with him." Real Madrid next match is against Atletico Madrid, for the Spanish League "La Liga", this Saturday (26-11-2011). You can watch Juventus live stream, Real Madrid vs Atletico Madrid this Saturday, as well as Getafe vs Barcelona and also Manchester United vs Newcastle for the English Premier League, all available from our football live streams. Cristiano Ronaldo missed Real Madrid last match against Dinamo Zagreb, but he is not injured and he should be a starter against Atletico Madrid.